Who needs a business book written? Anybody whose reputation is a major factor in making a sale. Anybody who sells a big-ticket service, such as financial planners, real estate agents and consultants. A book is more effective in establishing your value than a business card is. Although it does help make the sale, the real power of a consultant’s book is that it creates a higher perceived value – in other words, you can command higher consulting and speaking fees. We write business books to enhance your reputation and help you build your business. Hire us to write your book. We are offering $1000 referral fees if you refer a friend or colleague to us. More information here. 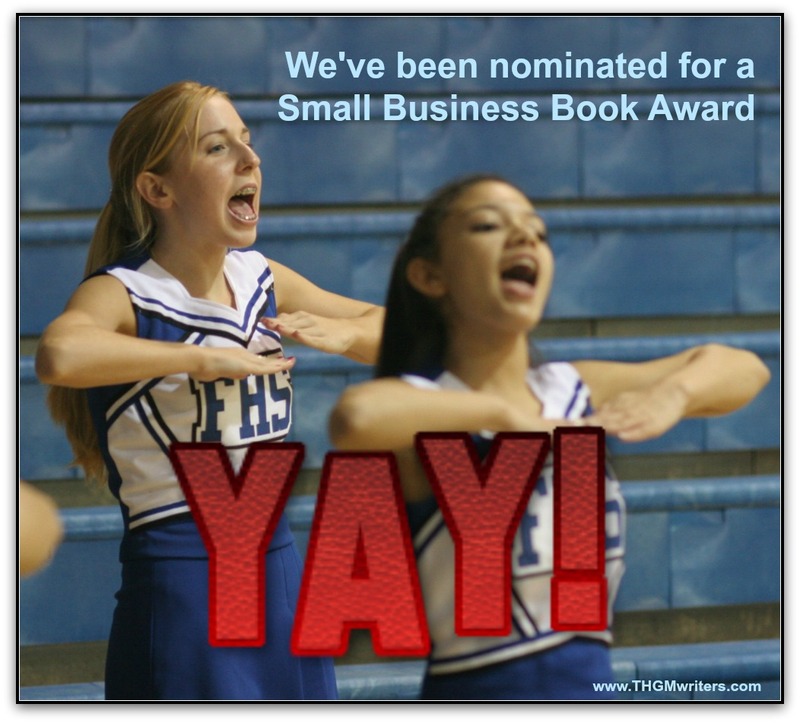 Vote for us as your favorite business book resource at SmallBizTrends. I found you via JustRetweet. I retweeted your information (via JustRetweet), shared your post on LinkedIn and also voted for you. I wish you much continued success and will keep you in mind if I hear of anyone who needs a book written. Thank you Daphne. Much appreciated. Thanks, Brian. Your support is very much appreciated.